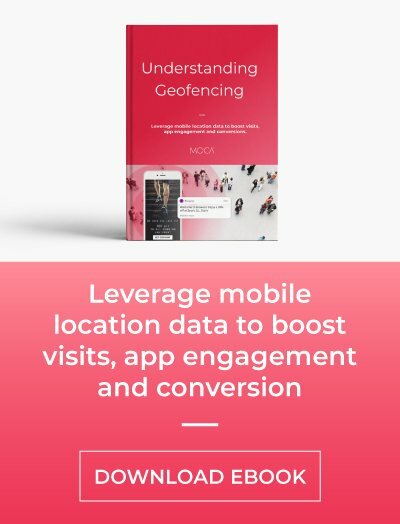 We’ve created a video tutorial in English to show you how easy it is to use MOCA Proximity Marketing Platform. Enjoy the video! First of all, enter MOCA’s console. On the left-hand side, you can see three tabs that are used for different types of analytics and marketing campaigns. The Apps option: is used for managing and visualizing the data collected from your apps. 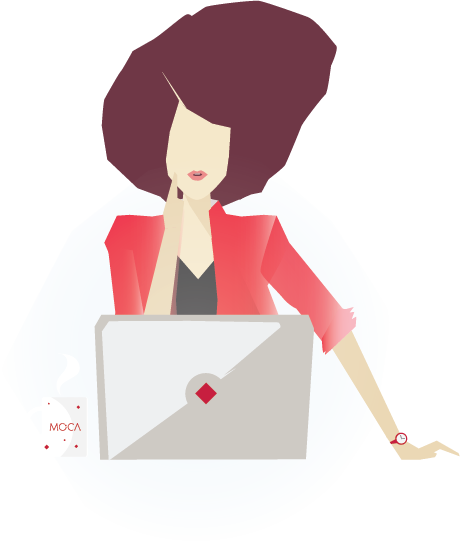 As you can see, I only have MOCA's demo application, called MOCA App, although you can add as many as you wish. In the next tab we have Beacons, small Bluetooth sensors, used for indoor smartphone tracking. In this account, we’ve registered 3 beacons for testing purposes. The last tab called «Places», is a tool for managing your geofences and indoor zones. You can choose certain areas on the map to trigger app events. We’ve selected 3 areas; for example, if I choose Madrid, here we have a geofence for Retiro Park that can be resized and moved as you please. 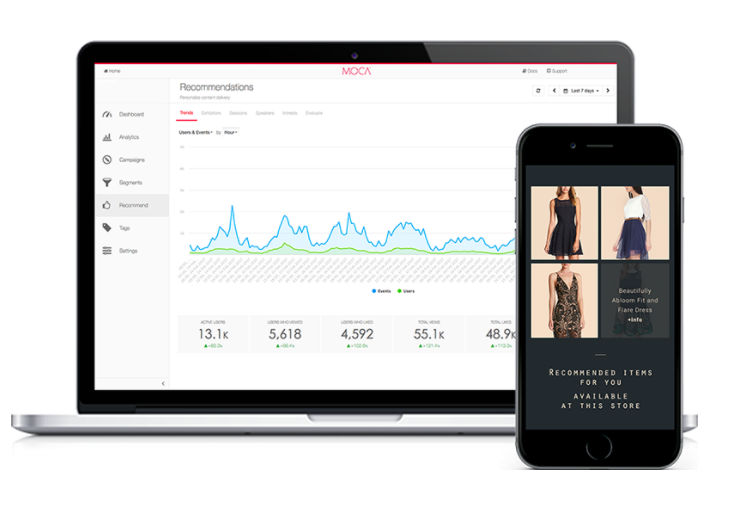 The Targets tab allows you to create segments based on the data collected from your app and launch future targeted marketing campaigns. You can narrow down your target group by choosing different criteria; for example, young women who were in the shop at least once. The Campaigns tab is used for setting conditions for your marketing campaign. Here you can easily program all the experiences that you are going to send to your users. In the same console, you have access to all the analytics extracted from your users. Based on that you can create highly-personalized marketing campaigns and target certain groups of users. Moreover, with the campaign analytics you can see the success of your marketing strategy and compare launched campaigns. 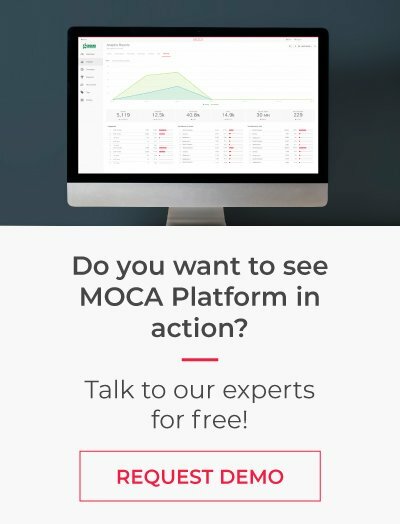 That was a short summary of how you can use MOCA Platform and the functions that it has. Before we finish, we’d like to show you 3 simple steps you can follow to start using MOCA Platform today. That way, you will see the same dashboard that we have shown you in the Demo. And that’s how easy it is. Thank you for your time and attention and stay tuned for our next video!